1927 was the worst financial year for A.J.S. since its formation. The company failed to declare a dividend to its shareholders, for the first time in its existence. The depression had caused a reduction in the sale of motorcycles and sidecars, not helped by the appearance of the attractively priced, mass-produced light car. The wireless department also suffered from a reduction in sales because of increased competition, with the introduction of cheaper mass-produced radios. One piece of good news came in the form of a lucrative contract to build car bodies for the largest local car manufacturer, Clyno. In the summer of 1927 Clyno developed the model 'Nine' light car. Charles Haywood secured the contract for A.J.S. to build the bodies at Lower Walsall Street works. The A.J.S. Board thought that diversification might be a way of securing the company’s long term future, after being faced with falling sales. It would also secure the future of the 1,300 or so staff at Lower Walsall Street. The Board members decided to develop a range of commercial vehicle chassis at Lower Walsall Street, under Charles Hayward’s supervision. As a result the ailing wireless department moved from Lower Walsall Street to Stewart Street Works to free-up space required for building the car bodies, and for developing commercial vehicles. Development work on the commercial vehicle chassis began in the autumn of 1927. Luckily A.J.S. managed to obtain the services of two people who had gained considerable experience in the manufacture and sales of commercial vehicles at the Star Engineering Company Limited, which was also suffering from declining sales. They were Edward Toghill, who became chief designer, and Edward Jenner who became sales manager. The 'Pilot', the first A.J.S. chassis. From an A.J.S. catalogue. The development team soon built a prototype, and tested it in the Wolverhampton area. After satisfactory tests it was fitted with a temporary Hayward body, and driven to Blackpool for a weekend, with A.J.S. staff as passengers. Again everything went well, and work began on a production version. Around this time Charles Hayward moved to London to exploit his idea of financing new inventions and processes. He formed the successful Electric & General Industrial Trusts Limited, which led to the formation of the Firth Cleveland Group of Companies. His position at Lower Walsall Street Works was taken over by Joe Stevens junior. The first A.J.S. 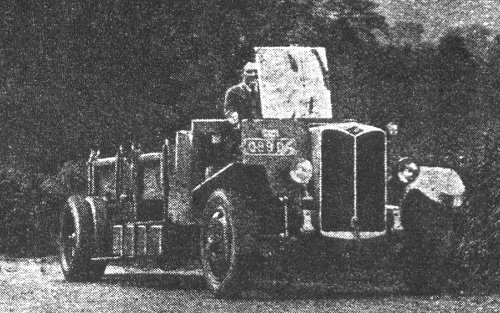 commercial vehicle chassis, called the ‘Pilot’ was launched in February 1929 during a very difficult period for the company. On 11th February Clyno went into receivership, and the lucrative contract with A.J.S. for the production of car bodies came to a premature end. The contract had been essential to the future of production at Lower Walsall Street because of the continuing decline in the sidecar market. It ensured full-time working for the large number of staff, and funded the project to develop A.J.S. commercial vehicles. To try and offset this important loss, A.J.S. decided to manufacture a light car, the A.J.S. ‘Nine’. An advert from September 1930. 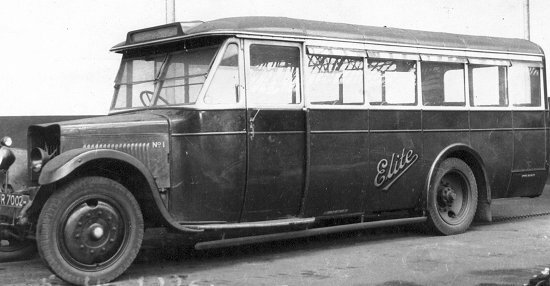 The ‘Pilot’ chassis was intended for use as a 20 seater high speed, long distance coach, or as a 26 seater single decker bus. The chassis consisted of engine, wheels, axles and all associated parts, and would be sold to coach and bus operating companies, who would have a suitable body made and fitted to the chassis. D. & E. Petty of Hitchin, Hertfordshire were appointed as agents. They had a body building section and so could also supply complete coaches. The chassis was powered by a 25hp. 6 cylinder, Meadows 6ERC overhead valve engine, with an integral 4 speed gearbox. The main frames were made by John Thompson Motor Pressings Limited at Bilston, and consisted of 8inch deep channel sections, which were 24ft long and 3ft 3½inches apart at the rear, sloping inwards towards the front. Two layouts were available. In the normal layout the driver sat behind the engine, whereas in the forward control layout the driver sat in a separate cab alongside the engine. The normal chassis sold for £685, and the forward control chassis sold for £705. 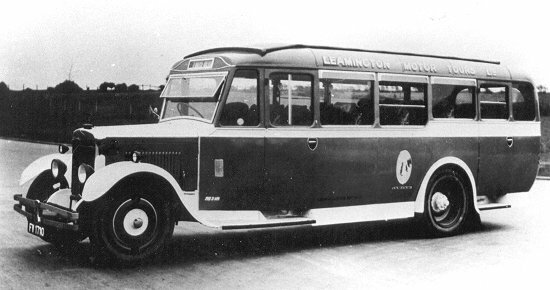 Initially sales were good, due to interest from small independent coach operators, but this only lasted for a short while because of increased competition from several manufacturers including Dennis, Morris, and Bedford. The improved 'Pilot' was launched in 1930 in response to the 1930 Road Traffic Act, which included new guidelines on the minimum space between seats. In order to comply with the new act the chassis had to be extended by three inches. A number of ‘Improved Pilot’ chassis were supplied for light goods use as lorries, furniture vans, or horse boxes etc. Around 140 ‘Pilot’ chassis were built. An advert from April, 1930. A front view of a 'Pilot'. The 'Pilot' engine and gearbox assembly. An offside view of a 'Pilot' engine. A 'Pilot' engine with forward controls. A photograph from an A.J.S. advert showing some of the 'Pilots' that were owned by a company at St. Anne's on Sea. Courtesy of the late Geoff Stevens. The 1930 Road Traffic Act, passed in August 1930, introduced regulation to bus and coach operators in England and Wales, and greatly changed the industry. It limited the ability of the smaller operators to extend their routes, which resulted in many of them being taken over by larger companies. This had a detrimental effect on sales because all of the chassis built so far, had been supplied to smaller operators, none of the larger companies had shown any interest in A.J.S. products. 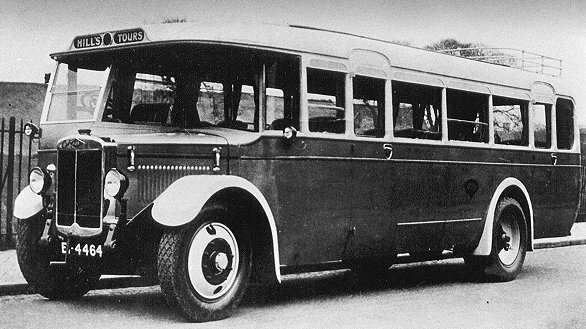 October 1929 saw the launch of the 'Commodore' chassis, intended for use as a 32 seater bus or coach. The heavy duty chassis had a 10inch deep Thompson chassis frame, and extra cross members to evenly distribute the load. The chassis was powered by a 6 cylinder, 36hp. Coventry Climax L6, side-valve engine, with integral 4 speed gearbox. The selling price of £850 was far lower than the equivalent competition. A 'Commodore' was sold to Wolverhampton Corporation and ran for seven years. Around 60 were built, some being used as lorries. A prototype 'Commodore' chassis undergoing a stop and start test on the Hermitage, near Bridgnorth. From 'The Commercial Motor', 7th October, 1930. A 'Commodore' owned by Hills of West Bromwich. Courtesy of the late Jim Boulton. This photograph from an A.J.S. advert shows another 'Commodore'. Courtesy of the late Geoff Stevens. A long distance 'Commodore' coach. Courtesy of the late Jim Boulton. 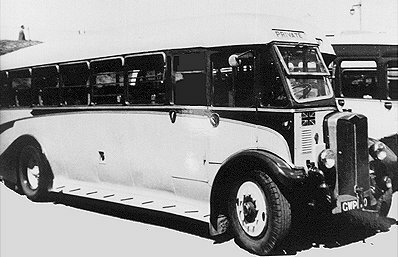 The last design, the 'Admiral' long distance, high performance, 26 or 28 seat luxury coach chassis, was launched in February 1931. It used the same engine as the 'Commodore' and had a top speed of 55m.p.h. The chassis sold for £795. Because of the recession and the financial problems that beset A.J.S. only 8 were built. Sadly A.J.S. went into liquidation in October 1931, but considering that the chassis had only been built over a period of two and a half years, with stiff competition, a reasonable number were sold. The 'Admiral' had not even been properly advertised as the sales literature was not ready at the time of closure. Unfortunately, as far as is known, not one of the coaches or buses has survived. Charles Aaron Weight purchased the remaining chassis spares valued at £40,000, for just £250, and moved them to his factory at Chillington Fields. Sales far exceeded the cost, and what few items were left (mostly rear axles), were given to assist the Government with its call for scrap metal for the war effort in 1939. The parts included 4 complete ‘Commodore’ chassis which were later sold and built into complete coaches. An old 'Pilot' awaiting its fait. Courtesy of the late Jim Boulton.